The University of Cambridge is opening a permanent program in Ukrainian studies, where students will be able to learn the Ukrainian language and culture. In fact, there are very few departments of Ukrainian studies in Europe nowadays. Italy (first and foremost, due to professor Oxana Pachliovska’s efforts) and Germany were the first to break ground here. Now the possibility of studying the Ukrainian language and literature is available to British students at Cambridge. This seems quite a significant step, given that today the first place at European universities belongs to Arabic and Chinese rather than the Slavonic languages, let alone Ukrainian. Moreover, among the Slavonic languages Russian has always been first in terms of prospective students. Little wonder: Russian studies have always enjoyed a powerful support on the part of Russia and its diplomatic corps, as well as Russian cultural centers in various countries. And yet, if Ukraine truly aspires to join the European community, and if European integration remains a priority, then the opening of a program of Ukrainian studies is extremely important. This is what Simon Franklin, professor, Department of Slavonic Studies at the University of Cambridge, spoke about at the official reception at the Intercontinental, on the occasion of opening a program of Ukrainian studies at Cambridge. “The understanding of Ukraine, the studying of Ukraine on a fundamental level, is hardly ever seen in Western Europe, although it exists in North America, especially in Canada. Ukraine appears in England only when it is shaken by yet another political or economic crisis. Otherwise, it just stays away from the newspaper pages, and from people’s minds. In our opinion, it is detrimental not only to Ukraine, but to us as well,” said Franklin. Sadly, Ukraine is indeed only mentioned in the context of gas scandals or political or economic crises. British citizens lack elementary knowledge of Ukrainian history, culture, language, and literature. According to Franklin, one of the program’s main purports is the formation of an understanding of Ukraine among British people and Western Europeans in general. All this will undoubtedly help speed up the process of Ukraine’s reintegration into the European system. 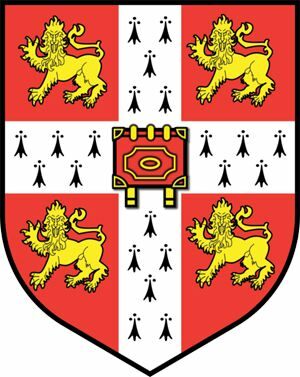 Franklin also mentioned that before the opening of the permanent Ukrainian program, a “Ukrainian Program” initiated by the Department of Slavonic Studies with the support of a Ukrainian businessman Dmytro Firtash had been functioning at Cambridge since 2008. Its work aimed at extending the awareness of Ukraine in British society, and the formation of innovative apporaches to country studies. More than 40 students learned Ukrainian at Cambridge for two years. According to Franklin, the permanent Ukrainian program will also be sponsored by Firtash. The patron himself emphasized that financial solvency was an indispensable prerequisite for studying at Cambridge. For financial reasons, even the smartest students cannot afford to do a course at this prestigious university, which now ranks first in the world’s university ratings. That is why Firtash decided to provide financial aid for the establishment of a Ukrainian Studies program and the promotion of Ukraine in Britain. “The material resources are provided by the Ukrainian party. The main support comes from Mr. Firtash. He has taken part in it since the very beginning, through private donations. He undoubtedly has played a key role in this program, and we would not have reached this stage without his help, this is absolutely clear,” emphasized Franklin. Emma Widdis, director of the Department of Slavonic Studies, University of Cambridge, remarked that Cambridge students can take Ukrainian as their second foreign language as all students are obliged to study at least two foreign languages. “We enable our students to learn the Ukrainian language and culture. Our department is not purely linguistic, it is also a center of culture studies. This means that we offer our students courses in history,” said Widdis. In his turn, Rory Finnin, director of the Ukrainian Program at the University of Cambridge, mentioned that Europeans need to learn about the Ukrainian language and culture. “Europe has not seen a program like this for long. I believe this to be a symptom of a worse problem. In my opinion, Taras Shevchenko, for instance, one of the world’s greatest poets, is often ignored by the world. Whence this ignorance? Why doesn’t the world learn more about Shevchenko? “The reason is that Shevchenko studies, just like Ukrainian studies in a broader sence, have not yet become a scholarly discipline in Europe due to what I prefer to call ‘the world’s inverse hallucination.’ If hallucination is seeing what is not there, then the inverse hallucination is the failure to see what is there. European universities will not notice Ukraine, its culture, language, and literature,” summed up Finnin at the formal reception on September 24, also noting the growing interest in Ukraine among Europeans. According to him, the Ukrainian Program at Cambridge pays a lot of attention to building public awareness. The program includes the popular annual Festival of Ukrainian Films, as well as public talks and seminars on present-day Ukraine, which have been attended by the British MPs, staff of the Embassy of Ukraine to the UK, and the representatives of the BBC. Also, students learn about the works of Ukrainian artists of the 19th-20th centuries. Finnin also said that as many lecturers from Ukraine as possible would be involved in teaching Ukrainian at Cambridge. “Our goal is to train a new generation of analysts and politicians, who know and understand Ukraine and realize that Ukraine is not part of Russia’s sphere of influence,” he emphasized. Thus, this program is aimed at establishing Ukraine as a European nation which must work hard to spread awareness of itself in the European space. But education is a prerequisite for this: the opportunity for young Ukrainian people to study at the University of Cambridge, and for British people to learn about Ukraine as a reliable geopolitical partner.